My mom and I decided to bake a chocolate cream pie this weekend, during which we discovered how best to make a crumb crust. It turned out as more of a crumb shortbread crust that was really delicious. It started out by crushing some coconut cookies and mixing with melted butter, sans sugar since we didn't want it too sweet. Well, it completely collapsed in the oven after we baked it, so Mom dumped it back in a bowl, mixed in the sugar we previously left out, and I added some flour. We could tell right away that we wouldn't have a problem with the crust this time. The custard came together really well, though it took a bit of whisking to completely emulsify the chocolate into the milk mixture once it started thickening. In the recipe we used, the chocolate is added with all the ingredients instead of being melted separately and whisked in. It's easier, though remember to really whisk the mixture together. Very delicious. The chocolate pudding was rich and creamy and very chocolaty. Seriously, this is a 1 slice-per-sitting type of dessert! My mom and I were discussing how this even was invented since it's practically pudding in a crust, as she noted. And yes, it is, but everyone is impressed by pie. 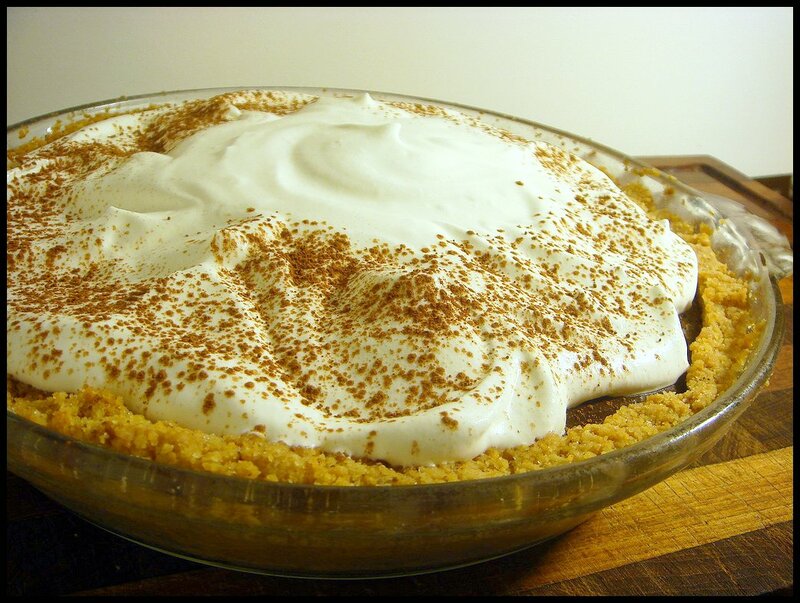 I will list directions and ingredients for the crust we used, and the link to the chocolate cream pie recipe. Preheat oven to 350°. Mix together cookie crumbs, sugar, and flour. Pour in butter and stir until evenly incorporated. Press crust into a lightly greased 9-inch pie pan, evenly along the bottom and up the sides. Bake for 15 minutes, or until golden. Let cool while preparing chocolate custard. Wow! So creamy, so rich! 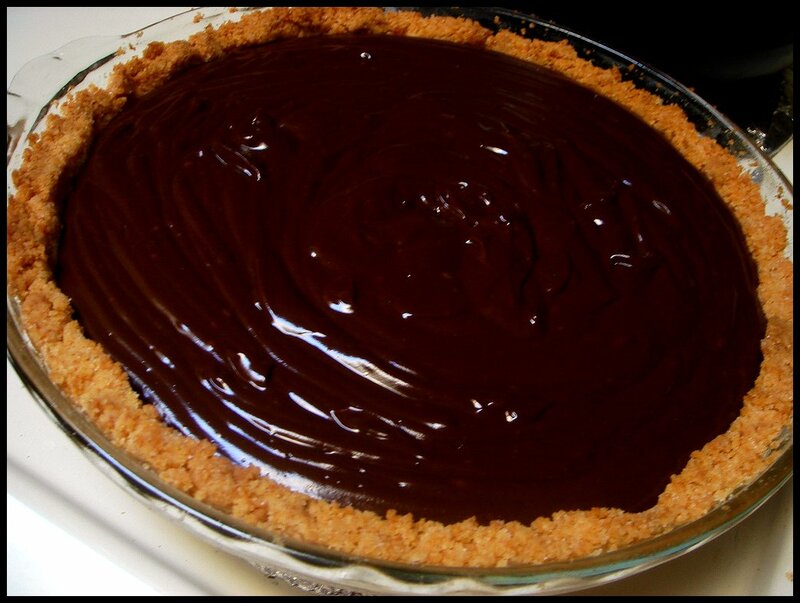 Love chocolate pie! My goodness! Drool. 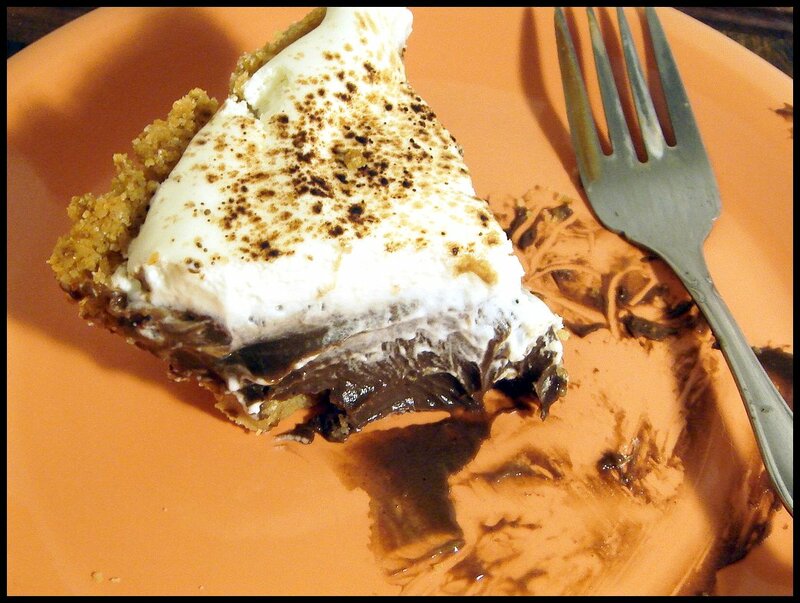 I think chocolate cream pies are my favorite ever. PowerBar Energy Gel Blasts free sample!